At Swell Attitude, we bring a modern twist to the centuries old, well regarded practice of custom tailoring and believe that a perfectly custom made suit and shirt should be a reflection of your personality, dreams, and aspirations. Through a carefully developed methodical process, our creative designers, fashion consultants and stylists work together to grasp the essence of your personality and match it with the perfect fabrics, color tones, and styles. 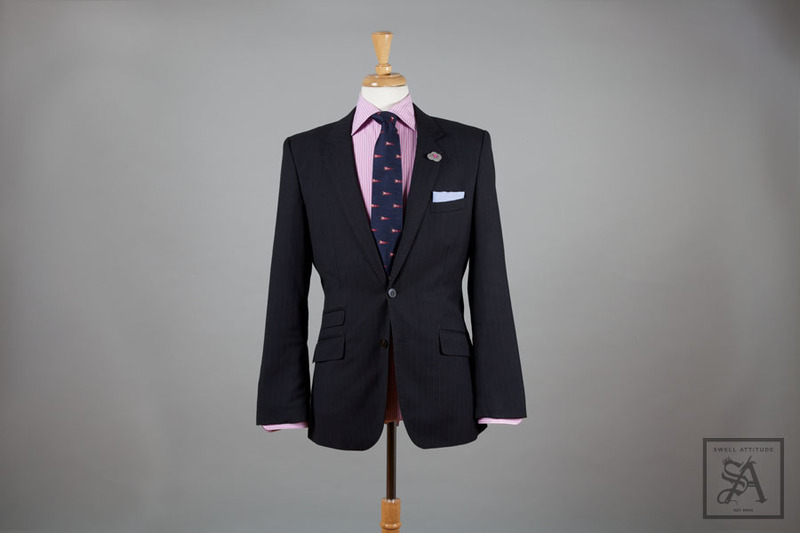 This approach brings a new meaning to custom tailoring – YOU, and allow us to provide you with a unique product that values quality and sophistication. How to order a suit? 1- Fill out the Swell Attitude Questionnaire and schedule your 30 min in-person appointment. 2- Our Fashion Consultants come to your location to take your measurements and guide you through the process of picking fabrics, colors and present you with style recommendations based on your answers. 3- In 3 weeks, your garments are ready for delivery and you find yourself proudly sporting that handsome custom-made suit, shirt, blazer or slacks made of one-of-a-kind fabrics that best suit – pun intended – your lifestyle. All of our custom made suits and shirts are hand made by our master tailor to your exact measurements and specifications. Suits/blazers: Choice of type of jacket, number of buttons, lapel type and lapel size, vents, type of pockets,and inside lining color. 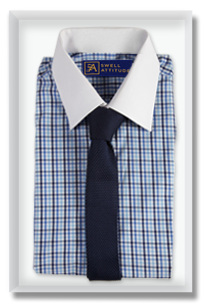 Shirts: Choice of collar type, cuff style, pocket and monogram. Our exclusive fabric supplier is the world-renowned Reid and Taylor Scottish firm, operating since 1837 and providing one of the finest and most luxurious fabrics to the leading fashion houses in the world. 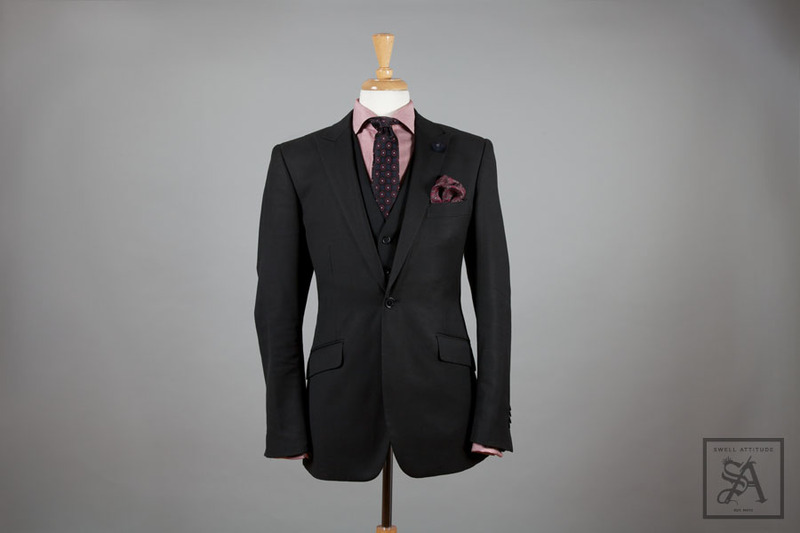 Please note that prices on custom-tailored garments vary depending on fabrics and level of customization details. For 100% wool options, we do carry 90 counts as well as Super 100's and Super 120's. We also carry Polywool Blends, Wool Cashmere Blends, Wool Linen & Wool Silk Polyester Blends and other blends. We invite you to fill out our “Tell Us Who You Are” questionnaire which will allow us to assess your current style and understand your sartorial needs in order to better serve you. If you wish to say more with less, a style that reflects who you are is a must. Inspire confidence at your next business meeting, get a compliment from a perfect stranger on your night out, be the second best dressed man after the groom or don’t miss to impress a hot date! Are you ready to be swell? Let our Fashion Consultants accompany you on a shopping spree, searching for those styles, colors and outfits that best complement your personality. Whether you are classy like George Clooney, cool as Bradley Cooper, dandy as Andre “3000″ Benjamin, or simply need a little help sorting out your closet or adding to it, we got you covered. Swell Attitude will help you refresh your image and introduce you to a new style more in sync with your personality. Corporate Seminars: Dress for Success! Swell Attitude developed “The Power of the Image”, a mini-seminar catered to businesses. These seminars aim at helping employees from Top Management to Junior levels to polish their image and reflect well their company’s image. Contact info@swellattitude.com to inquire about bookings and special packages for employees.